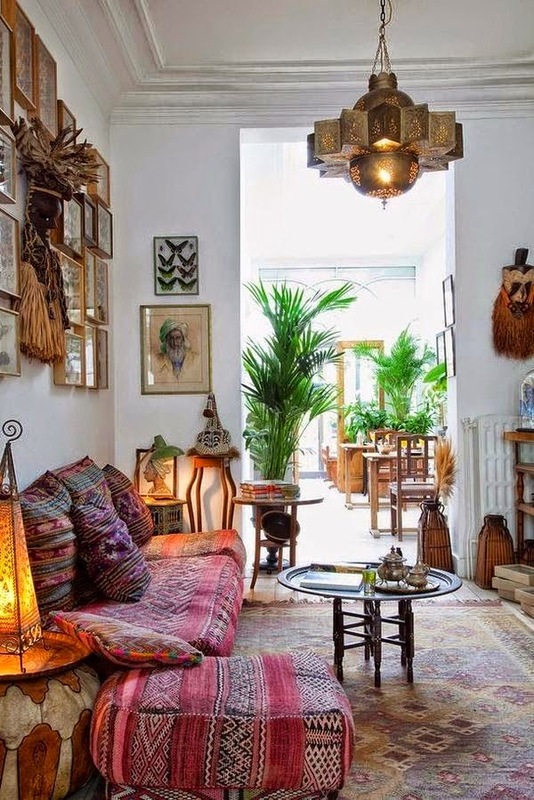 A lot of people looking to create a boho styled space will take inspiration from Morocco it seems and being such a culturally rich country I can see why. I've been twice and see how the colours, textures and patterns from the country are used in different ways to inspire interiors and some, like the image below, are really amazing. It's beautiful when the influence is more subtle, starting with a white base then layering rich materials, bold patterns of natural earth tones, golden lighting and big potted plants that mimic the vivid courtyards found inside the Riads all over Morocco. This room does it well.